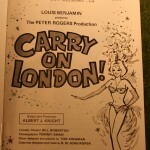 Carry On London Stage show. Look In 1977 no 14. Just William cover.